Did the Scottish Parliament just vote to ban fracking? Almost every headline reports that the Scottish Parliament voted to ban fracking on the 1st June 2016 (Guardian, BBC, Scotsman, National, STV, Holyrood). The headlines are technically correct but super-misleading. If watching from afar, you might deduce that Scottish Government policy is now (or about to be) in favour of a complete ban. Or, if you know more about the Scottish Parliament process, you might at least see it as a major defeat for the SNP under minority government even if the vote is not binding (indeed, the Guardian’s second headline states that the ‘Vote does not create binding policy but is significant defeat for SNP so soon into new parliamentary term’). 33 of 123 available MSPs voted for the ban, 29 opposed, and 62 abstained. The 33 were from the 3 smallest parties in the Scottish Parliament. It is clear to everyone that the amendment-to-motion only passed because the SNP abstained. The vote was embarrassing (particularly since it was on an amendment to a motion proposed by the SNP’s Environment Secretary Roseanna Cunningham) rather than binding. Its main effect is to produce this picture (source: BBC News) of the SNP squirming in the chamber. In the past, a vote like this might have had more important effect. For example, the SNP agreed in 2007 (at the beginning of its previous spell of minority government) to reconsider the Edinburgh trams project after most of opposition parties voted in its favour. That motion was not binding, but the SNP took it far more seriously because the other parties could generate a vague sense of the ‘will of the Parliament’. In the case of fracking, there is no such sense. Instead, the three smallest parties are restating their manifesto commitments, the now-more-important Conservatives are voting the other way, and the SNP is trying to ignore the whole thing. This vote is unlikely to change the course of events too much: the SNP government still intends to delay things (while maintaining a moratorium) while it commissions and processes more research. The biggest factors are still likely to be public opinion, business versus environmental group pressure, and the level of disagreement within the SNP itself. Hydraulic fracturing policy in comparative perspective: how typical is the UK experience? 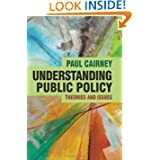 This paper – Cairney PSA 2016 UK fracking 15.3.16– collects insights from the comparative study of ‘fracking’ policy, including a forthcoming book using the ‘Advocacy Coalition Framework’ to compare policy and policymaking in the US, Canada and five European countries (Weible, Heikkila, Ingold and Fischer, 2016), the UK chapter, and offshoot article submissions comparing the UK with Switzerland. It is deliberately brief to reflect the likelihood that, in a 90-minute panel with 5 papers, we will need to keep our initial presentations short and sweet. I am also a member of the no-powerpoint-collective. What do we learn about UK hydraulic fracturing for shale energy (‘fracking’) policy and policymaking by comparing it to Switzerland? The UK Government looks like it is as strongly pro-fracking as it can possibly be. Prime Minister David Cameron famously declared: ‘we’re going all out for shale‘ and Chancellor George Osborne oversaw many policies to encourage initial exploration and investment. Yet, the UK’s outcomes – no commercial fracking – are not so different from Switzerland, in which the most affected Cantons have introduced moratoriums or bans. These moratoriums are now in place in Scotland and Wales, and the UK Government has yet to overturn an English local authority decision to withhold planning permission for development. These outcomes often seem surprising because the UK government has a reputation built on a misleading image of ‘majoritarian’ (Westminster) democracies in which central governments hoard power and impose policies from the top down. So, for example, as soon as Cameron declared himself ‘all out for shale’, you’d be forgiven for thinking he could flick a switch and make it so. This is what makes the Switzerland comparison so relevant: it has the opposite image, of a consensus democracy with a federalist structure and participative politics. Switzerland has an established culture of direct and regular participation via referendums. Direct-democratic instruments oblige public authorities to negotiate policy solutions with minority groups. Federalism offers ‘veto points’ and allows actors to defy a policy solution favoured by central government. Yet, the difference in policymaking does not reflect the difference in these images (if anything, Swiss policy has been far more quick and decisive). The main reason for the lack of difference is that these reputations only tell one part of the story. The most visible aspects of political systems may differ, but central governments routinely devolve policymaking and/ or negotiate political settlements in less visible subsystems. The contentious, high profile statements and subsequent disputes may represent the most visible part of policymaking, but the negotiation of settlements out of the public spotlight is far more common and routine. So, we find differences in UK and Swiss policymaking, but they are far more subtle than you’d expect if you focused on high profile events and reputations. They happen in subsystems, in which coalitions of pro- and anti-fracking actors share information to influence the policy agenda. Normally, you would expect actors to share certain information with their allies and withhold it from their competitors (such as political information on how best to ‘frame’ the issue and lobby governments), or to only share certain types of information (such as when coalitions compete to interpret technical or scientific information). However, this effect is far more pronounced in the UK, in which there is more competition and less trust. So, the ‘majoritarian’ UK seems to produce a more competitive policy process even though it shares with Switzerland a tendency to make policy in subsystems, often out of the public spotlight. UK energy policy is still reserved to the UK Government but, to all intents and purposes, major parts are being devolved to the Scottish Government. Politically, Scotland has a veto over the construction of new nuclear power stations, through executive devolution (via the Electricity Act 1989) and statements by several UK ministers since devolution. Legally, it is securing greater powers to oppose hydraulic fracturing for shale gas (‘fracking’), initially through the planning system and, from 2015, by securing the right to grant drilling licenses to companies. It is also pursuing a distinctive renewable energy policy, underpinned by its ability to help fund and approve the planning permission for major projects, and a permissive regime linked to EU targets and UK demand. Yet, it does not have the constitutional or legal power to control the complete mix of energy production. This limitation helps generate the sense of a fragmented policy process in which the Scottish Government often contributes to the blocking of major sources of energy, while encouraging some and relying on the maintenance of others. This is an unsustainable position, since major sources of Scotland’s energy – its old nuclear power and coal burning plants – are coming to the end of their lives. We have reached the point where the Scottish Government, in cooperation with the Scottish Parliament and other actors, has to be a part of a long term strategy to secure its energy needs within a UK and EU framework. Does the Scottish political system have the capacity to produce this strategy? To generate and process evidence. Some will be fairly straightforward, technical, information – on, for example, levels of consumption/ production, import/ export, the risks and rewards to production, and the environmental effects regarding the use of each type of energy – and other information will be heavily contested. However, this distinction is not always predictable, particularly in highly salient issues where some groups do not trust information from others. A system requires the expertise to help generate and/ or analyse information, as well as the processes to combine it with other forms of knowledge (e.g. on the policy process), values and opinion, to produce a defendable decision. To inform the public, to generate an informed decision. Public knowledge of energy issues are often low, and it is rare to see public debates which consider energy consumption and production as a whole, rather than in relation to (for example) particular forms of energy produced in specific areas. The Scottish Government would need the capacity to encourage a sustained public discussion on the issues, perhaps not as intense as the debate on Scottish independence, but drawing on increased public participation (and certainly as high profile as the ‘national debate’ on compulsory education). To foster cooperation and a degree of consensus among social partners. The Scottish Government has developed a reputation for consultation to produce relatively high ‘ownership’ of policy problems and a useful degree of cooperation between social partners. 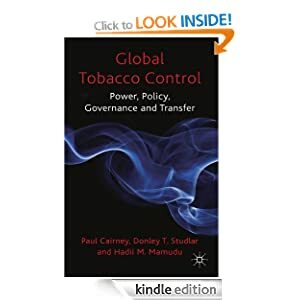 Yet, this took place during a period of high public spending within policy areas, such as education and health, often marked by widespread agreement – often producing little need to generate consensus on ‘hard choices’. Energy policy would be a key test of its capacity to secure widespread agreement between business, energy, public sector, environmental and community groups. To produce ‘joined up government’, to ensure that energy aims are consistent with other policy aims, such as to produce sustainable growth and adherence to climate change targets. It has produced a National Performance Framework underpinned by a single purpose and a series of supporting aims (and measures of progress) but, as yet, it does not incorporate energy aims fully. Of the Scottish Parliament to scrutinise the Scottish Government. 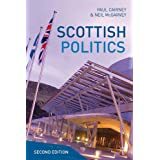 The Scottish Parliament has the ability to scrutinise government policy, but it has limited resources to do so (and often-limited political incentives to devote considerable time to scrutiny), and its remit on partially-reserved areas would be difficult to define. To produce a degree of cross-party agreement, sufficient to maintain a long term strategy. Energy issues often generate intense competition among political parties, with the potential to undermine long term planning. To produce effective intergovernmental relations. If energy remains a formally reserved but an effectively increasingly devolved matter, the Scottish Government would need to maintain a regular relationship with the UK Government and UK public bodies, to secure a degree of agreement on Scotland’s contribution to UK policy. To produce a robust legal and regulatory framework, and sufficient resources to regulatory bodies. Many of these policies require (Scotland, EU or UK-wide) regulations to maintain a dual focus on energy production and environmental (and health and) safety. Often more importantly, they require well-resourced public bodies to carry out regular inspections and approve local projects. Fracking policy is a useful example of an issue that has the potential to generate public interest in energy, but perhaps only to one aspect of a complicated decision. Current surveys suggest that public knowledge remains low (even when attention seems high) and that attention is focused on a small number of aspects (environmental consequences, economic potential) of specific projects. The issue has generated intense electoral competition to produce a moratorium or local veto on development, without giving the sense of what Scottish parties are willing to encourage alongside renewable energy. There is little evidence, yet, that the Scottish Government is in the position to broker a deal between energy businesses and environmental/ community groups – in an area in which it is increasingly important to demonstrate that the government has not already made up its mind on development (currently, this is a ‘governance’ problem faced more intensely by the UK Government). Scottish parliamentary scrutiny is limited, partly because there is still uncertainty about the specific issue and the Scottish Government’s role. Intergovernmental relations may often be limited to the forthcoming further devolution of powers, which give the Scottish Government another veto on energy production, without solving its need to work with the UK to produce an overall strategy. The consideration of a regulatory framework is in its infancy: the Royal Society guidelines are there, but we do not yet know how they would translate to specific regulations or if public bodies such as SEPA have the capacity to monitor adherence, before and after planning consent. Currently, this is one of many cases in which Scotland will benefit from further devolution and face considerable uncertainty about what to do with its new powers. @CairneyPaul Yes, but depends on all actors in policy development accepting what should be uncontested technical facts. @DaveToke @CairneyPaul The reason being if that electricity were not supplied by Scotland, your lights would be going out. Scotland introduces moratorium on shale gas, then wades home through snow to switch on combi-boilers. Methane isn't going away anytime soon. I was at a workshop in which we compared hydraulic fracturing/ fracking policy in many countries: the US, Canada, UK, Germany, France, Sweden, and Switzerland. One crucial point that arose from the focus on Germany/ UK on the one hand, and France/ Sweden on the other is that the debate has become relatively specific in some countries. In France and Sweden, the debate is quite broad: Sweden focuses on a broad opposition to fossil fuels and relatively low reliance on gas; in France, 90% of electricity comes from nuclear, and the debate is wider, focusing on hydrocarbons. In the UK and Germany (at least in our impression) we talk specifically about fracking as a technology – the ‘unconventional drilling’ side and focus very much on the uncertainty about the seismic activity and pollution caused during the process. Maybe we occasionally talk about fossil fuels in general but, as far as I can tell, not very often and not very well. The focus on the technology side of shale gas has often pushed the fossil fuel and energy mix question off the agenda. The rush for shale gas/ oil in the US – they produced huge energy reserves and helped push the price down; the price of coal has become too high and the US now exports a huge amount to Europe. The uncertainty about the energy mix in the UK in Germany. Germany is phasing out nuclear and, for the foreseeable future, will burn a huge amount of coal until its transition to greater renewable energy. The UK has not made an effectively strong commitment to nuclear and also relies a huge amount on coal. Look at these two things in tandem: the US fracks, uses the oil and gas at home, then ships over coal to burn in Europe. I like to think that this is not a decision that would have been made ‘rationally’ if they cooperated or each individual country consider their own energy mixes in a more holistic way. The problem is that, at least in the UK, this kind of discussion gets lost in the excitement of fracking (and, in many cases, the usual party politics nonsense). Many (if not all) of us don’t want fracking in our back yard, but we might be happy enough with fracking in someone else’s. Perhaps some of us have vague hopes that, if we ban fracking, we will suddenly get all of our electricity from renewable energy (and perhaps burn less gas for heat in our homes). Some of us don’t care. Some of us want to use far less energy. Some of us are frustrated that we are making hugely contradictory choices (at least in the short term) by banning fracking partly on the grounds that you should keep fossil fuels in the ground while accepting that we are burning other fossil fuels from under someone else’s ground. In other words, we do the debate a disservice if we love or hate fracking unconditionally. We need to think about the assumptions we make when we reject some fuels, and consider in more depth what else we can do. 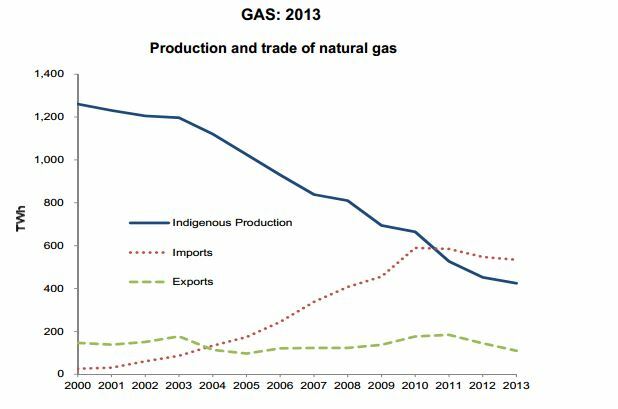 If not shale gas or nuclear power, are we happy to keep burning coal and importing gas? This is not my argument for shale gas. It is an argument for a better, more coordinated, national discussion on the risks and rewards of all parts of the energy mix. This UK Government document give you a sense of the proportion of energy the UK imports. The UK is now a net importer of all fuels (see p3). This UK Government document suggests that we imported 49 million tonnes of coal in 2013, and that our natural gas consumption (850 TWh in 2013) – for homes, industry and electricity – comes as much from imports as domestic production. @CairneyPaul There is a 3rd dimension here – security of supply; unconventional gas, for those who have it is, an alt to insecure sources. @CairneyPaul And a 4th, which is the economic development potential. Wd be a mistake to think this is absent from energy policy choices. @CairneyPaul in the long term to balance renewables/nuclear. But desire not to deter gas investment complicates CCS policy. @CairneyPaul problem with this, as with much of debate, is incomplete focus on electricity generation. Lots of gas is for heat, not power. @CairneyPaul with heat much more difficult to not use gas even in medium term – q is then where do get gas will need from? Fracking policy in the UK: all out for shale? miscellaneous supporting policies, including tracking data on public attitudes to energy, and the rules used by police forces to manage protests and gather intelligence on protesters. Yet, in two crucial ways, it has not gone all out for shale. First, it is part of a loose coalition of organisations which, ‘on average’, is tentatively pro-fracking. The coalition includes UK government bodies; government agencies monitoring adherence to regulations; the three main UK political parties – Conservative, Labour, Liberal Democrat (at least while in coalition government); the Energy and Climate Change Committee of the House of Commons, currently with a government majority; private energy companies (Cuadrilla, IGas Energy, Centrica, Total, Shell, National Grid) and industry groups (United Kingdom Onshore Operators Group, Oil & Gas UK, Chemical Industries Association; the NGO, No Hot Air; and, groups generating and sharing research: Royal Academy of Engineering, Royal Society, British Geological Survey, CNG Services, Geological Society, Policy Exchange. The common element to this coalition is a wish to approve test drills, to get a better sense of the economic potential of shale gas (which only depends partly on production potential – note the currently low oil and gas prices), and support extensive regulation. Only some members of this coalition favour the ‘all out’ strategy. This coalition competes with an anti-fracking coalition which, while much smaller number, has a less equivocal political position. It includes the Green Party, NGOs such as the Campaign to Protect Rural England, Frack off, Friends of the Earth, and WWF UK, and, a research group, Tyndall Centre Manchester. Second, it has not taken a centralist approach to energy security. Instead, it shares power across several levels of government. It has overall responsibility for energy policy, and retains ownership of mineral and gas resources, but has not centralised many aspects of fracking policy which are made by: devolved governments, responsible for developing national planning guidelines (Scotland will also soon receive powers on licensing); local authorities charged with granting planning permission for individual drilling sites; and public bodies responsible for ensuring environmental protection and health and safety. It also shares responsibility for environmental policy with the European Union. The UK has taken responsibility for strategic issues, related to energy security, the generation of evidence to address the economic viability and environmental uncertainty regarding fracking, the tax and incentives regime, and the UK-wide system granting energy companies the right to operate to extract minerals, but not the decision to approve drill sites in local areas. This is reflected in its rather convoluted ‘roadmap’ for private companies, which involves at least 15 steps and interaction with government and a large number of public bodies, culminating in the need to satisfy local authorities that they should drill in their area (public bodies, such as environment agencies also implement a complex mix of EU, UK and devolved regulations). Currently, the result is that we don’t quite know what will happen, particularly since devolved and local governments are much more hesitant to approve actual development in their areas. The UK government may be ostensibly ‘all out for shale’, but this is not reflected in key decisions on the ground. On this basis, we could expect one of three things. First, as events proceed and local areas begin to make decisions on individual sites, the anti-fracking coalition may swell, to reflect a growth in opposition or the decision of local authorities to reject planning applications. This is particularly likely if incidents such as tremors/ earthquakes should happen again close to test drilling sites. Second, the majority coalition may swell, but change further, to reflect an important degree of hesitant and prudent pro-fracking attitudes that are not sufficient to produce commercial fracking. Or, third, the majority coalition becomes more in favor of fracking, perhaps following the development of test drills and the gathering of evidence that suggests that regulations are sufficient and the commercial potential of shale gas is more certain. The latter outcome is by no means certain.